Who says you can’t have both luxury and value? Simply pay in advance and enjoy added savings on our spectacular beachfront beach houses, available for a limited time. This offer must be paid in advance and is nonrefundable. 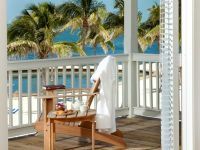 The above Florida Keys resort deals and discounts are available during select dates only and savings are limited based on availability. Rates are subject to frequent change based on availability. The sale rates do not reflect a $35.00 per night resort fee and 12.5% applicable tax. Savings vary based on availability and special event dates. All dates are final. To view the discounted rate code, click "view all offers" when booking online. This offer cannot be combined with any other promotion.